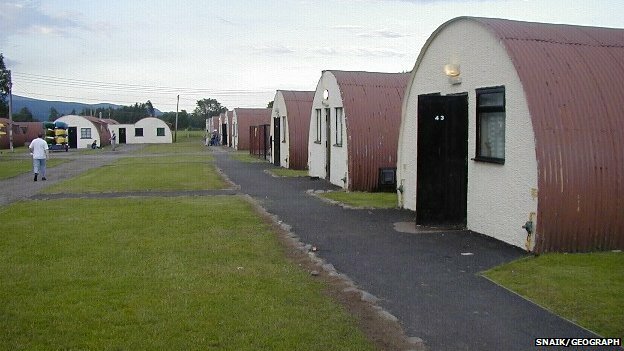 Comrie Development Trust now has further news about decisions concerning funding, which will enable the Trust to proceed with a great new project – The repair and refurbishment of 11 Nissen huts to create a self catering development at the community owned Cultybraggan Camp, the former POW and army base site by Comrie. Whilst the Steinmeyer legacy will be entirely used for developments to benefit older people in Comrie and the area following a period of consultation, the self catering development will: safeguard the future of 11 B listed properties; provide excellent holiday and group accommodation in a beautiful Perthshire location; deliver an economic and employment boost from the construction process and visitors staying in the area; assist the Trust’s efforts to become financially sustainable; and benefit the local community through surpluses eventually made from the self-catering business. There is also an associated Heritage Activity and Training Plan to be established over the next two years.